Theresa May has urged MPs to back her Brexit deal “for the country’s sake” as Tuesday’s Commons vote looms closer. She warned of “paralysis in Parliament” if the deal is rejected and said trust in politics would suffer “catastrophic harm” if the UK did not leave the EU. The PM welcomed new EU assurances over the impact of the deal on Northern Ireland, saying they had “legal force”. The EU said it didn’t want to use the “backstop” but, if it did, it would be for “the shortest possible period”. The “backstop” is the fallback plan to avoid any return to physical Northern Ireland border checks. In a letter to Mrs May, the EU said commitments to look at alternatives to the customs arrangement and to fast-track talks on future relations had “legal value” and would be treated “in the most solemn manner”. Speaking in Stoke-on-Trent, Mrs May said “they make absolutely clear that the backstop is not a threat nor a trap”. Attorney General Geoffrey Cox said the assurances offered “legal force” to the UK, but admitted they did not alter the “fundamental meanings” in the Withdrawal Agreement – namely that the UK is indefinitely committed to the backstop if it comes into force, as neither side can unilaterally withdraw from it. Critics said they fell way short of the firm end date or the unilateral right to withdraw they wanted, with the Democratic Unionist Party saying “nothing has changed” and accusing the prime minister of “foolish talk”. Assistant whip Gareth Johnson became the latest member of the government to quit his job over the deal, saying in his resignation letter to the PM that it would be “detrimental to our nation’s interests”. Labour and the other opposition parties will vote against the deal while about 100 Conservative MPs, and the Democratic Unionist Party’s 10 MPs, could also join them. The letter from Presidents Juncker and Tusk was deliberately released at the moment No 10 hoped it might have the most impact – the eve of the crucial Brexit vote. But regardless of the timing, the attempt to reassure hasn’t done enough to convince many senior Brexiteers to swing behind the prime minister’s deal. The contentious Northern Ireland backstop remains the biggest sticking point, and nothing short of a legally watertight guarantee that it can’t go on indefinitely will be enough for many of those with concerns. At this stage, the EU has made clear it won’t reopen the negotiated Withdrawal Agreement to include such a guarantee. So, however warm the words of reassurance offered today, it seems they won’t be enough to persuade many opponents to Mrs May’s deal to change their mind. Speaking to factory workers, Mrs May said she now believed MPs blocking Brexit was more likely than a no-deal scenario. What has the UK been offered on Northern Ireland? The so-called Irish backstop will see the UK and EU share a single customs territory until they settle their future relationship or come up with another solution to stop a hard border. Many Tory MPs, as well as the Democratic Unionists, are adamantly opposed to it. “Were the backstop to enter into force in whole or in part, it is intended to apply only temporarily, unless and until it is superseded by a subsequent agreement,” they said. “The Commission is committed to providing the necessary political impetus and resources to help achieving the objective of making this period as short as possible,” it said. But Conservative former work and pensions secretary Esther McVey said “warm words” from the EU were insufficient. But three senior Conservative backbenchers are to publish a bill on Monday night that would allow MPs to frame a “compromise” Brexit deal if Theresa May fails to come up with a plan B, Tory Nick Boles has revealed. Mr Boles said he, Sir Oliver Letwin and Nicky Morgan were behind the “European Union Withdrawal Number 2 Bill”, which would see the Liaison Committee – made up of the chairmen and chairwomen of all the Commons select committees – take a key role if the PM’s Withdrawal Agreement is rejected by Parliament. Mr Boles said all three planned to vote for the PM’s deal, but would act if it failed. 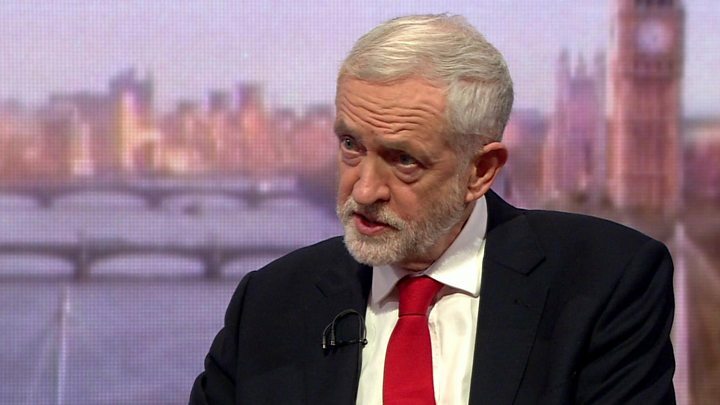 He told BBC Radio 4’s Today programme: “This bill would do the following: it would give the Government three more weeks to get a compromise deal, a plan B, through Parliament so that we are leaving the EU on time on March 29 with a deal. Downing Street has said it is “extremely concerned” about the plot, which it says could potentially overturn centuries of Parliamentary precedent. Five Conservative Brexiteer MPs who have been critics of the withdrawal agreement have now said they will support the government in the vote on Tuesday. Former ministers Andrew Selous and Andrew Murrison, and Caroline Johnson, MP for Sleaford and North Hykeham, also said they were backing the government despite reservations. What are the chances of another referendum on leaving the EU? A cross-party group of anti-Brexit politicians have published proposed legislation to bring about a second referendum on leaving the EU. The draft Bill recommends that the public be asked whether they want to remain in the EU or leave under the prime minister’s deal. The MPs behind the draft legislation point out that Article 50 – the two-year process by which an EU member leaves the bloc – would have to be extended in order for another poll to take place, meaning the UK would remain a member beyond 29 March. The legislation could be introduced through the House of Lords under plans being considered by the group.